By now many of you have perhaps seen the takedowns of TED talks (see here, highly recommended), which some think have become rather pedestrian (I still find most TED talks insightful, just for the record). ……. Morozov also detects, besides superficiality, a distinctively TED-style attitude toward politics in which institutions and democratic debate are derided and technology is looked to as a deus ex machina that will solve such once-intractable problems as poverty and illiteracy—obviating those pesky voters and squabbling elected leaders. …. technology is an autonomous force with its own logic that does not bend under the wicked pressure of politics or capitalism or tribalism; all that we humans can do is find a way to harness its logic for our own purposes. Technology is the magic wand that lifts nations from poverty, cures diseases, redistributes power, and promises immortality to the human race. 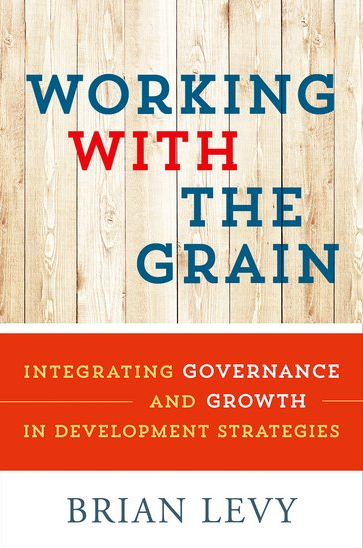 The characterization of governance and development as purely technical risks abstracting too much away from the human beings that development is supposed to help. Think of how scientific communism worked out. Statements like the one below are a reminder that bad ideas die hard. The problem, of course, is that more often than not these “technocrats” in the poor countries of the world (read those with the most and biggest guns, a.k.a autocrats) are woefully incompetent (see here) and never observe their term limits (this classic on dictatorship comes to mind). The question of what to do with the relatively more competent autocrats will be the subject of a future post. Sub-Saharan Africa is in dire straights. It is the most sick, hungry, poor and ignorant region of the world. It is a region infested with despots and illiberal democrats who for decades have led their nations to economy ruin and pre-modern tribal divisions and ways of living. As the world watches one of this region’s promising nations descend into chaos, it is important for us to ask each other hard questions about the African Problem. I say the African Problem problem because it is not by chance that from Senegal to Somalia, Chad to South Africa, there is not much success to talk about. Poverty, disease and ignorance rule supreme. We need to ask each other hard questions because racially sensitive Westerners (or Easterners for that matter) on whom we depend for most of “our” solutions will not ask us these questions; Is it our culture? Why haven’t we managed to shed the tribe in almost a decade into the 21st century? Why do we tolerate such appalling levels of mediocrity among us? Why don’t we demand more from our leaders? Why don’t we produce real leaders. Our dictators compare woefully to those from other regions. Pinochet murdered Chileans, enriched himself, but also modernised the economy. Lenin had a weird ideology and some intellect behind his murderous leadership but he modernised Russia. Suharto did not run Indonesia into the ground. And now we turn to Africa: Samuel Doe, “Emperor” Bokasa, Iddi Amin, Obiang, Abacha and all the other Nigerian generals, Mobutu, Mugabe, Charles Taylor…. etc. This is a list of common criminals. Nearly all of them lack (ed) an iota of ideology behind their leadership, nearly all impoverished their people more than they were before, and all are a shame to all Africans. None of them knew what it means to be leader of a people or peoples. These leaders got obscene amounts of wealth while their country men and women walked around naked, sick, hungry and ignorant. How hard can it be? Why haven’t we succeeded in having successful socio-cultural and economic institutions that work for us? Does anyone care? Of what use is a million dollars to any African anywhere if Reuters is showing pictures of naked flood victims from Mozambique??? Why are we stuck in pre-modernity? The many questions aside, the one thing that is clear is that Africa needs to change fast or it will never catch up with the rest of the world. We should not confuse pre-modern subsistence existence with culture. People live in mud houses and roam around with emaciated goats not because they love it but because they can’t afford or do not know any better.